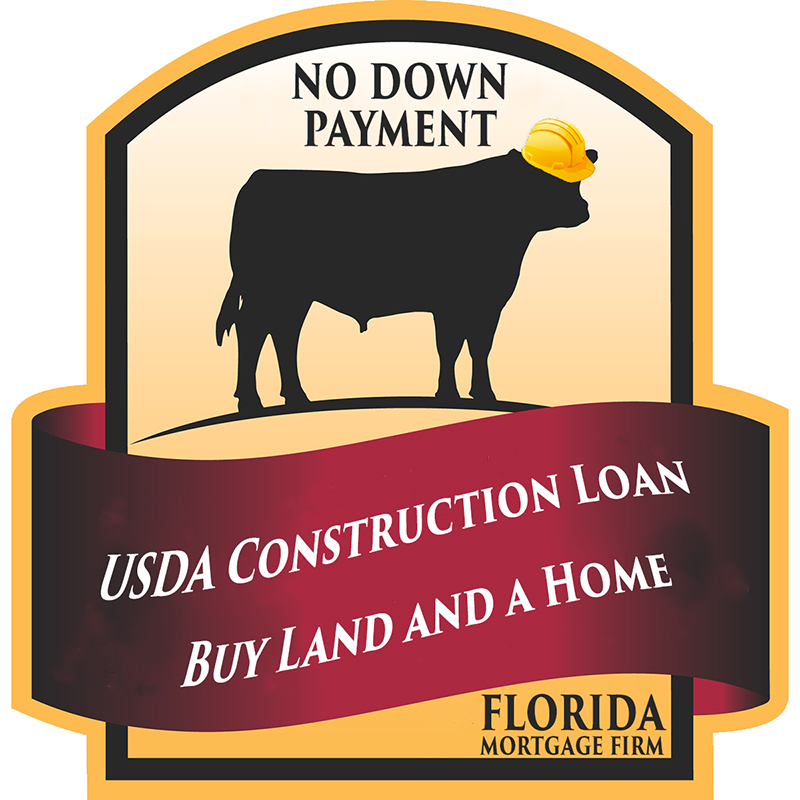 The USDA construction-to-permanent loan not only allows home buyers to build a home with no down payment , but it also offers an all-in-one financing option for construction, buying land and the funding of a “permanent” mortgage with one closing. Often, home buyers will get a construction loan, then refinance out of the higher interest rate on that loan after the home has been built. This can be costly since the borrower will have to pay for two closings. However, the USDA construction-to-permanent loan through Florida Mortgage Firm is a more affordable option to that. Because the permanent loan is closed before construction begins, a home buyer will not need to get qualified again for a mortgage — no more credit scores pulled, no more appraisal purchases, and more. Altogether, this simplifies the entire construction and purchase process (keep reading below the video). • Include the closing costs in your financing (depending on how you want to structure the loan). This program may be used for modular and manufactured homes, too. There are income and property eligibility limits to the USDA program, so if you have any questions, call us at 813-707-6200.